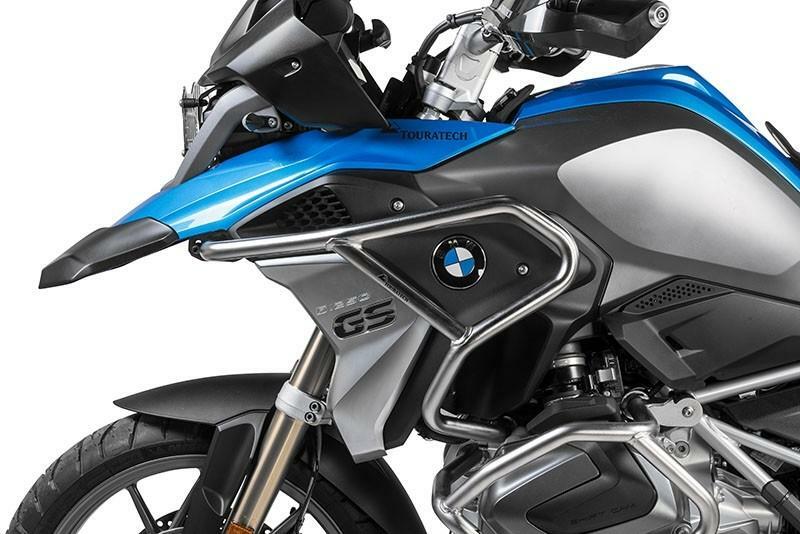 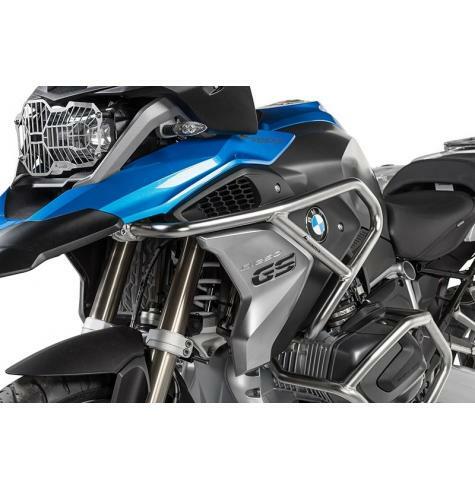 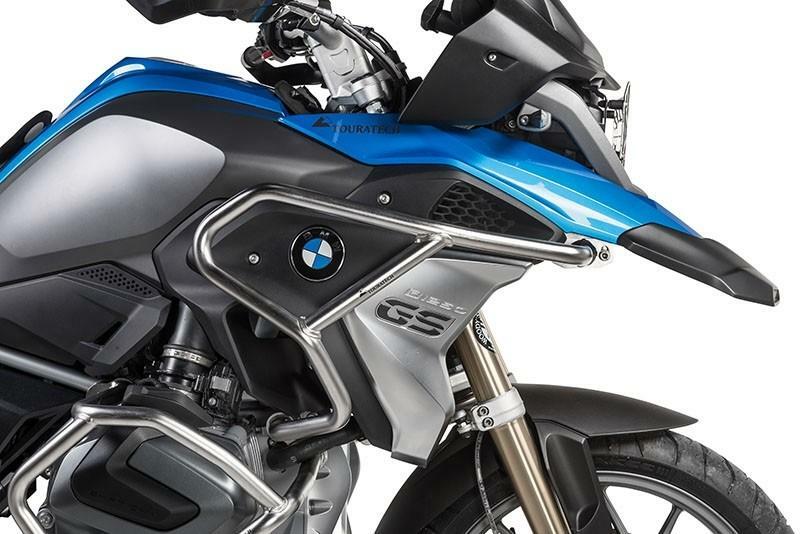 Considering the cost of BMW replacement plastics, and how critical the radiator is to a water-cooled boxer engine, upper crash bars are a priority for the BMW R1250GS. 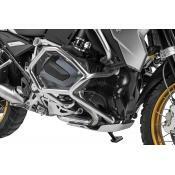 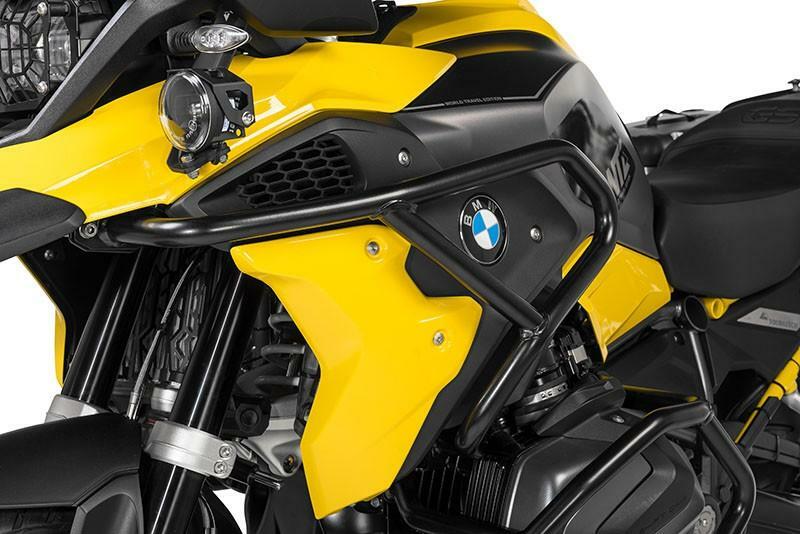 Extend the protection of your adventure motorcycle with a set of upper fairing crash bars from Touratech. 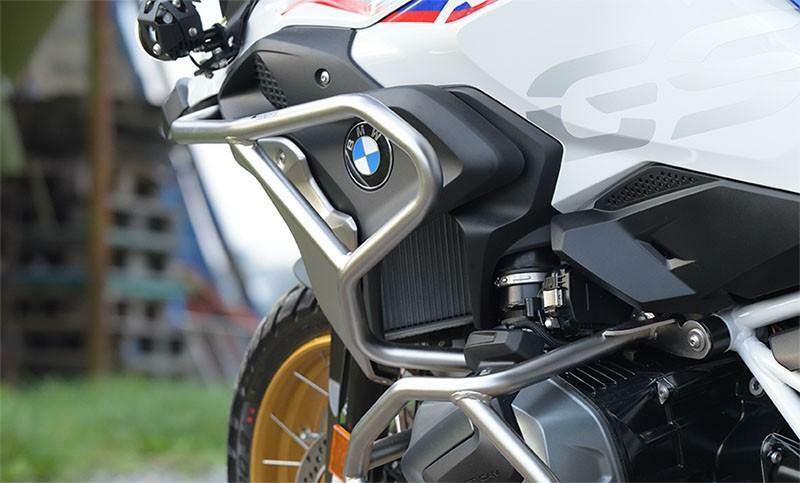 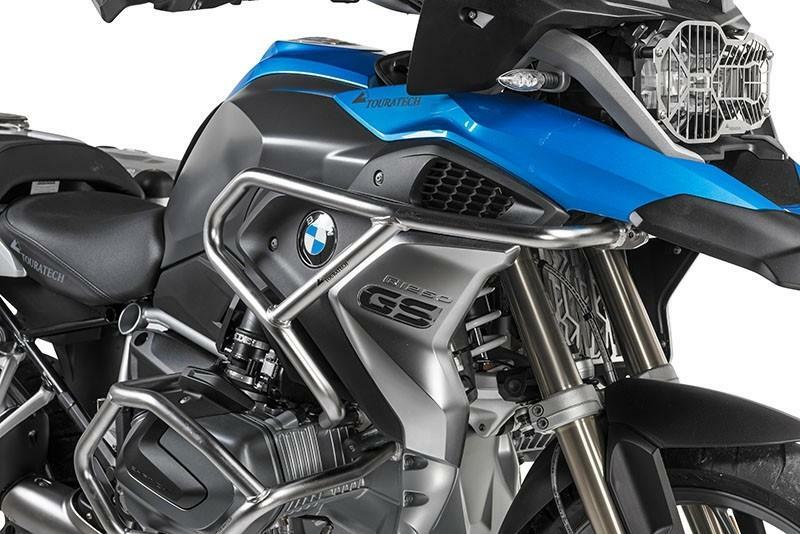 Whether you have OEM BMW or Touratech engine crash bars, these stainless-steel upper extensions will add much needed protection to your R1250GS. 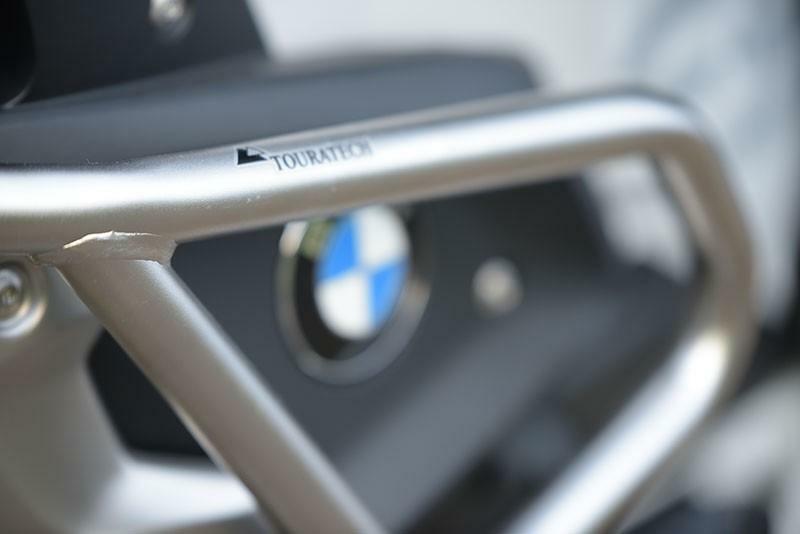 A vital component of the liquid-cooled boxer engine is its radiator, and while BMW did a good job of keeping it tucked-in and out of the way, the bottom corners are still vulnerable and can become a liability on a long adventure. 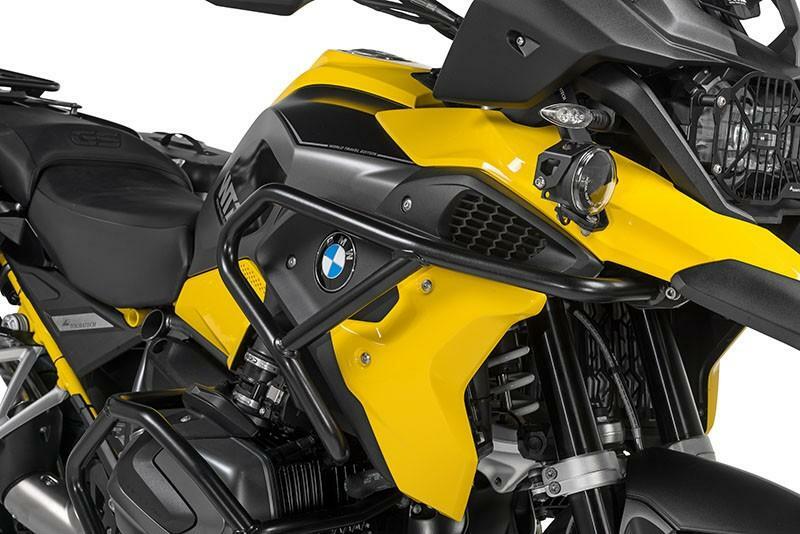 Touratech Upper Crash Bars keep your radiator protected during a tip-over and also prevent damage to expensive body and fairing pieces on your BMW R1250GS. 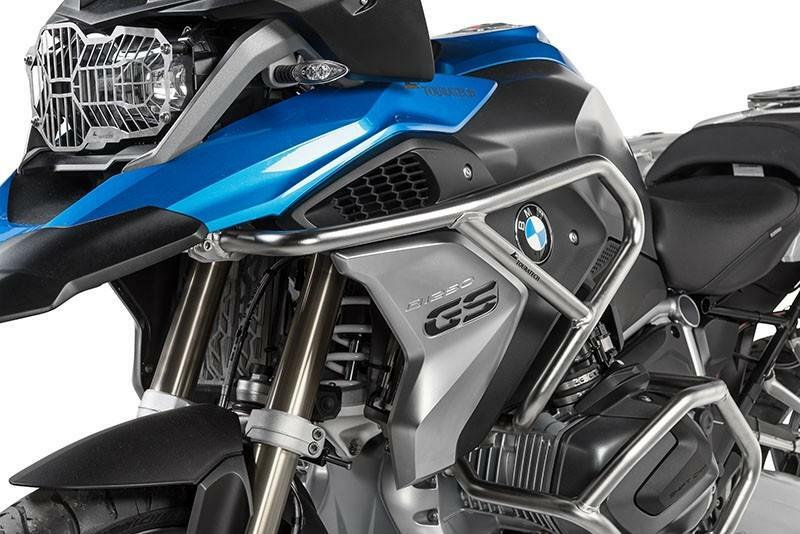 Made of strong 1-inch diameter stainless steel tubing, these bars are tough and also contribute the adventure aesthetic of this capable machine. 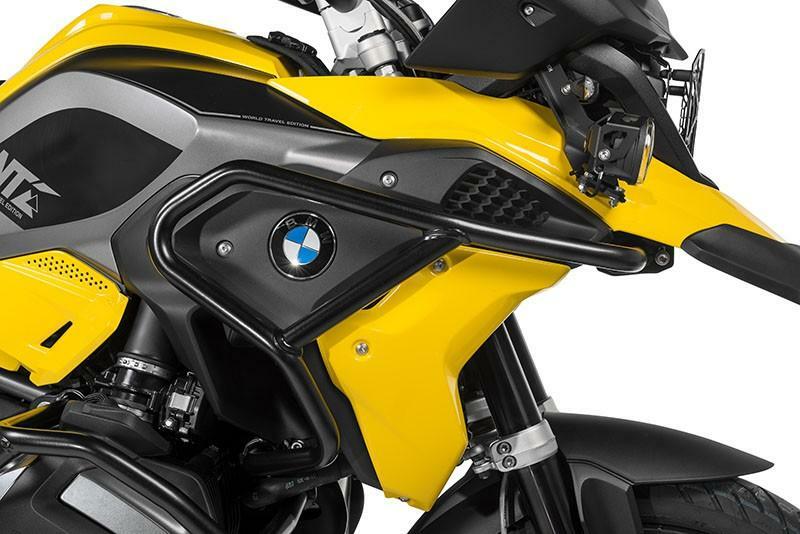 Unlike other designs, Touratech crash bars compliment the overall look of the by following the lines of the stylish R1250GS. 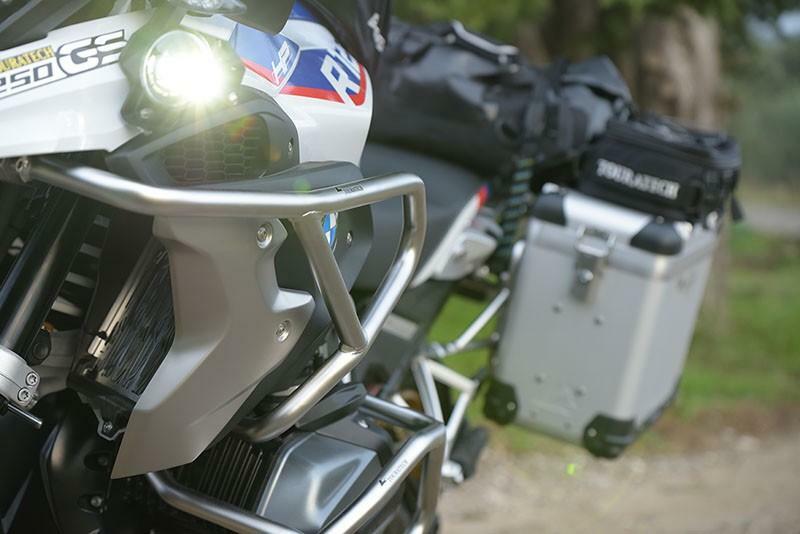 The Touratech Upper Crash Bar System is quick and easy to install, and also provides a solid location for mounting lights. 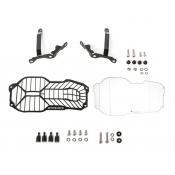 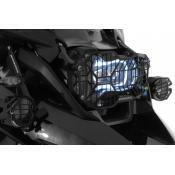 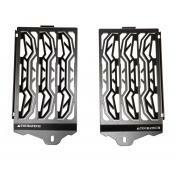 They are fully compatible with BMW OEM crash bars, Touratech engine crash bars, and Touratech LED auxiliary lights.